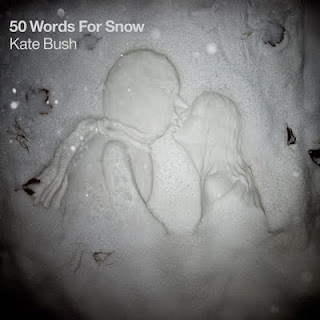 "We are extremely pleased to announce that Kate will be releasing a brand new album: "50 Words For Snow" on 21st November 2011. The album will be the second release from Kate's own label Fish People and comprises all new material that was recorded during the same period that Kate worked on her album 'Director’s Cut'. The track-listing is: Snowflakes, Lake Tahoe, Misty, Wild Man, Snowed in At Wheeler Street, 50 Words for Snow and Among Angels. You can pre-order your copy at any of the following online stores now at HMV or iTunes. Please stay tuned to our official News section here, as well as our Facebook and Twitter pages for future updates on '50 Words For Snow'."